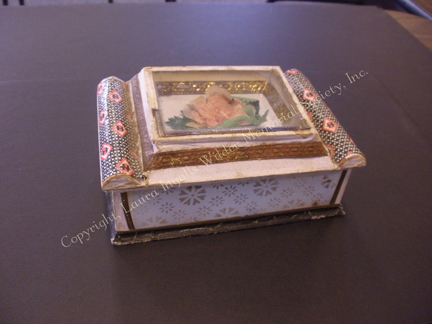 Laura’s sister Carrie cherished this little memento box. Courtesy, Laura Ingalls Wilder Memorial Society, Inc., De Smet, S.Dak. Grace, Laura’s youngest sister, kept pictures as well as writings in her autograph book. Courtesy, Laura Ingalls Wilder Memorial Society, Inc., De Smet, S.Dak. 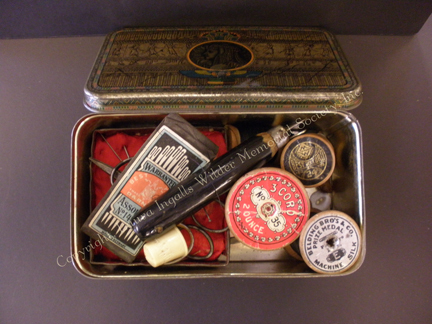 Laura probably used the contents of this sewing kit when she needed to mend clothing. Courtesy, Laura Ingalls Wilder Memorial Society, Inc., De Smet, S.Dak. 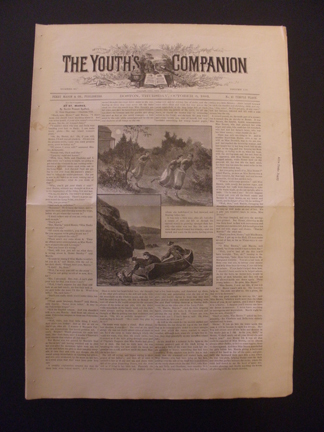 Publications such as Youth’s Companion were popular with children of Laura’s age when she lived in De Smet, S.Dak. You are very lucky to have such wonderful treasures, Kathy. Thanks for following along with us. I’m just curious, your husbands grandmother is first cousin to Laura Ingalls Wilder through which family member? Amazing, what a neat connection. there is only one Mabel – Mabel Josephine Bingham, (b 1902) daughter of Laura’s paternal aunt, Edith Florence Ingalls. I’m guessing this must be the first cousin mentioned by Kathy Rohr? I just came upon this blog looking around at Laura’s family history and I looked at the family tree in the link you provided. It is interesting at what a big family both Laura and Almanzo have combined! The Mabel Bingham listed is a grandchild of Peter and Elizabeth Riley. Fan of the books growing up though they read like a fairytale did know life on prairie is hard. I would be interested in pioneer girl project iin what it was really like scandals, hardships. I have been curouis about the family’s keepsakes some of the photos on here make it easy to picture them the way Laura describes them in her books as beautiful possessions. 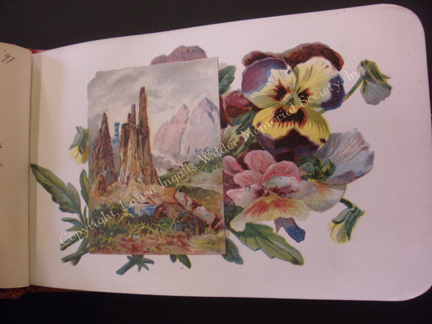 Just stumbled across this blog on accident, how exciting that a new book is being published! I still re-read my beloved Little House books often, and my 9 yr old daughter reads them as well. Recently we were amazed and delighted to discover a link to Laura Ingalls in our family tree. (It’s pretty far back, common ancestor was Edmund Ingalls, making him my 12th gr. grandfather and Laura’s 6th? I think), we will be looking forward to reading the new book! I believe the book Pioneer Girl itself will tell us a great deal about what life was really like for Laura. Her intended adult audience for her biography is going to get more of the “grit” of things than those reading the children’s series did.